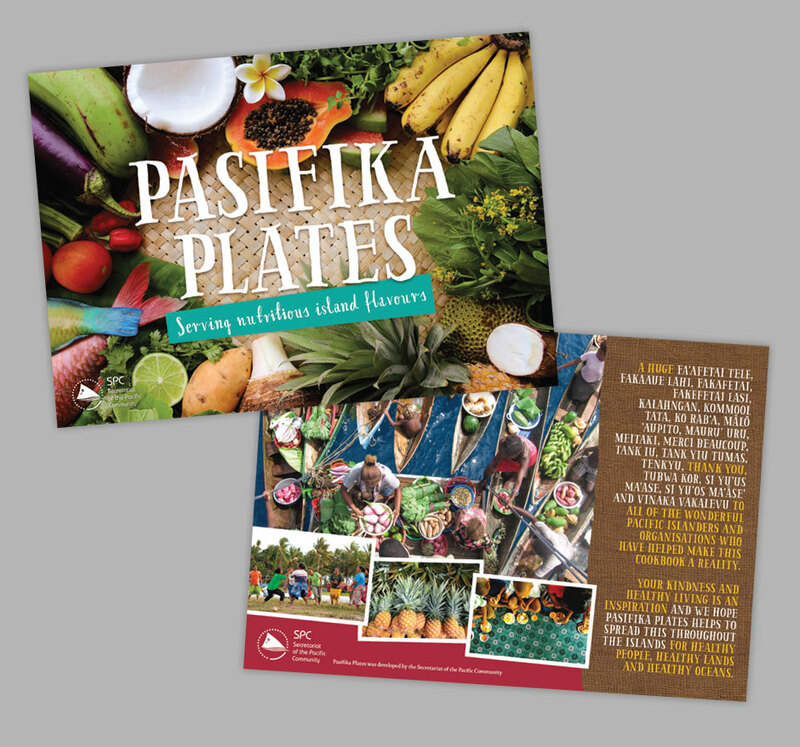 Recently we got the opportunity to design a healthy living booklet to go out to the people of the Pacific Islands. As some of us here at Ultimo are passionate about this, it was a very exciting project indeed. The aid organisations who came together to fund this book had a specific look and demographic they were targeting. The booklets needed to have a bright, colourful and definitive “Pacific” flavour but appeal to a broad range of people – mostly families and mothers in particular. We began by researching cultural symbols, patterns and textures. 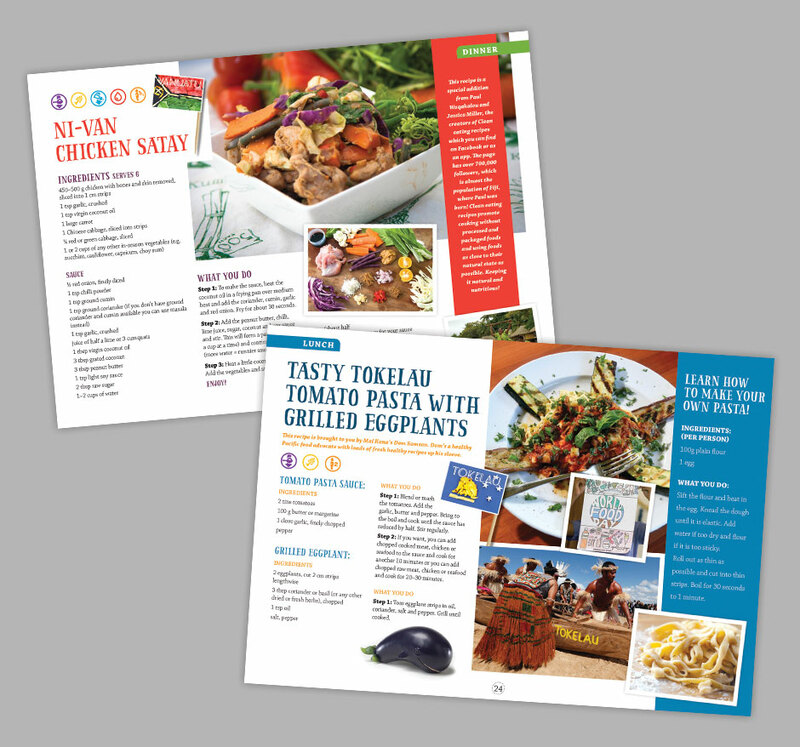 Then after evaluating the content we began looking at creating a booklet in more of a magazine style than a traditional cookbook as this seemed more appropriate for a free handout. The result is a fun, friendly, bright guide that the Pacific people can use as reference on a daily basis.